Holmes, Oliver Wendell Jr. and Oliver Wendell Holmes, Sr.
Holmes, Oliver Wendell Jr. and Oliver Wendell Holmes, Sr. – the Supreme Court Justice sends a signed photo of his late father the poet. 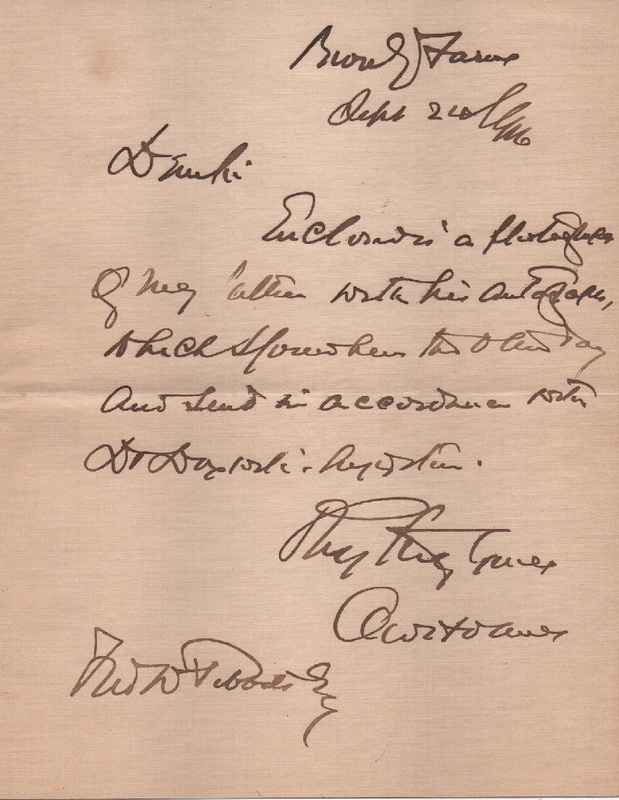 Responding to an autograph collector’s request made through a mutual friend Holmes handwrites a letter sending a signed cartes de visite (cdv). 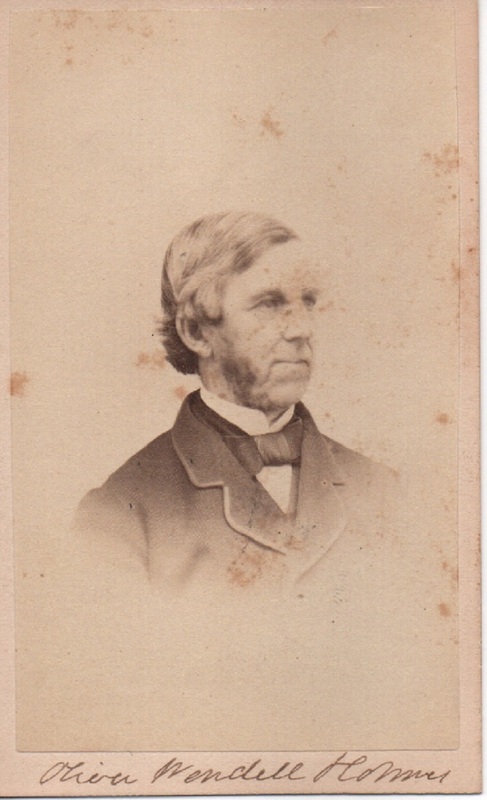 It was taken by Marshall of Boston and signed by Holmes’ father in a small script below the image. The letter is written from Beverly Farms- Holmes’ summer residence purchased 15 years after his father’s death. The letter suggests that the older poet, plagued by but responsive to autograph seekers pre-signed cards and some photos as a ready response to requests when he might be busier. Undoubtedly he left behind a small supply that Holmes Jr. must have used for special requests. This is a fascinating pairing for the collector interested in the history of collecting.